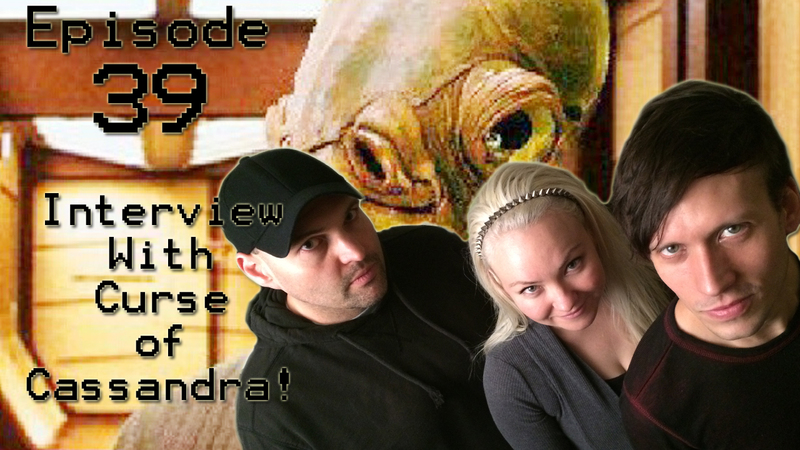 Episode 39: Interview with Curse of Cassandra! Today, we bring you a two-fold of firsts! First, an interview with our very first band, Cursed of Cassandra! And second-first (?) is that this episode falls on the day of an event that is mentioned in the podcast! So, you have the whole wibbly-wobbly, timey-wimey thing going on! That’s right! Curse of Cassandra, Dayton, Ohio’s electronica band joins Troy and Neo at Uncommon Geek HQ to talk music, how they all met, how they got started… and other things, as you will soon hear! Basically, in Uncommon Geek podcast normal fashion, we get off topic! And stay tuned at the end of the episode to hear Curse of Cassandra’s song “Hunger” off their new album’Night!” Want to buy the album? Check out http://www.cdbaby.com/Artist/CurseOfCassandra ! Today’s intro song is “Space 1337” by Or4 released under a Creative Commons Attribution 3.0 Unported License! Head on over to their Bandcamp at https://soundcloud.com/0r4 for all the awesome songs they have, and as always, check out creativecommons.org to learn more about how CC licenses can help you in your creative quests.